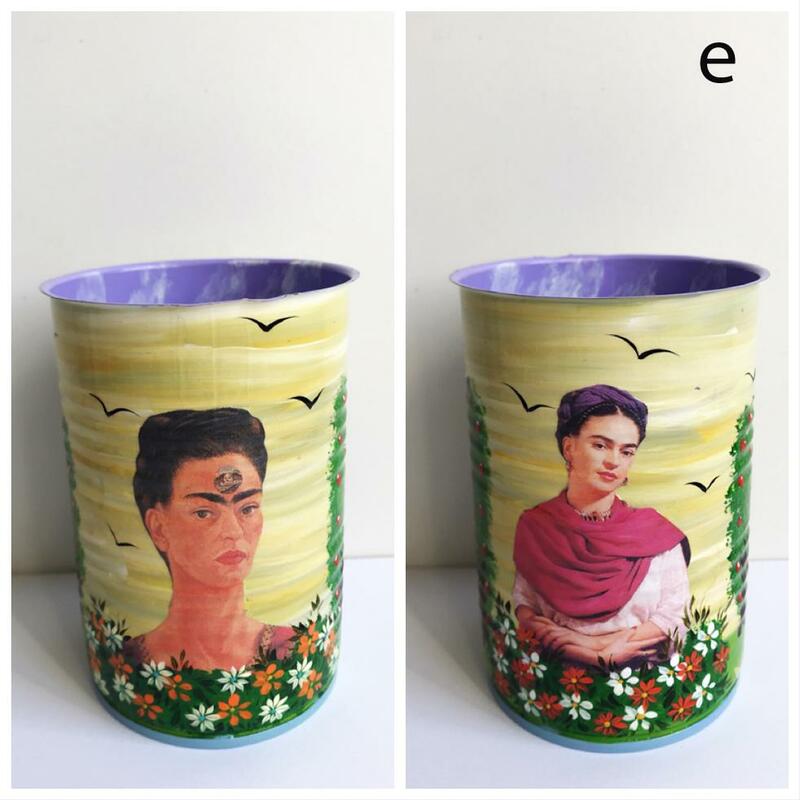 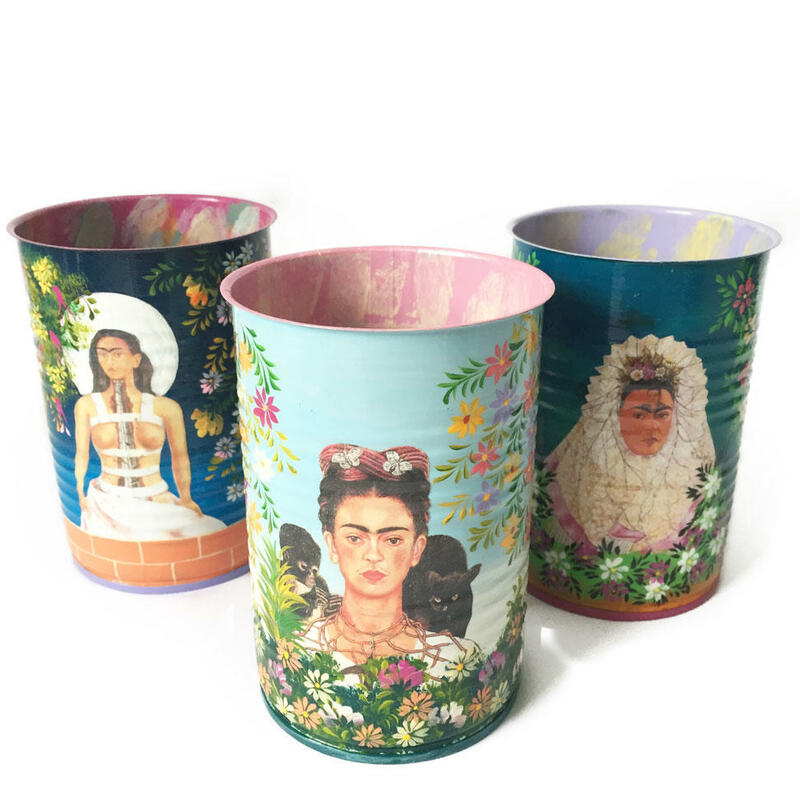 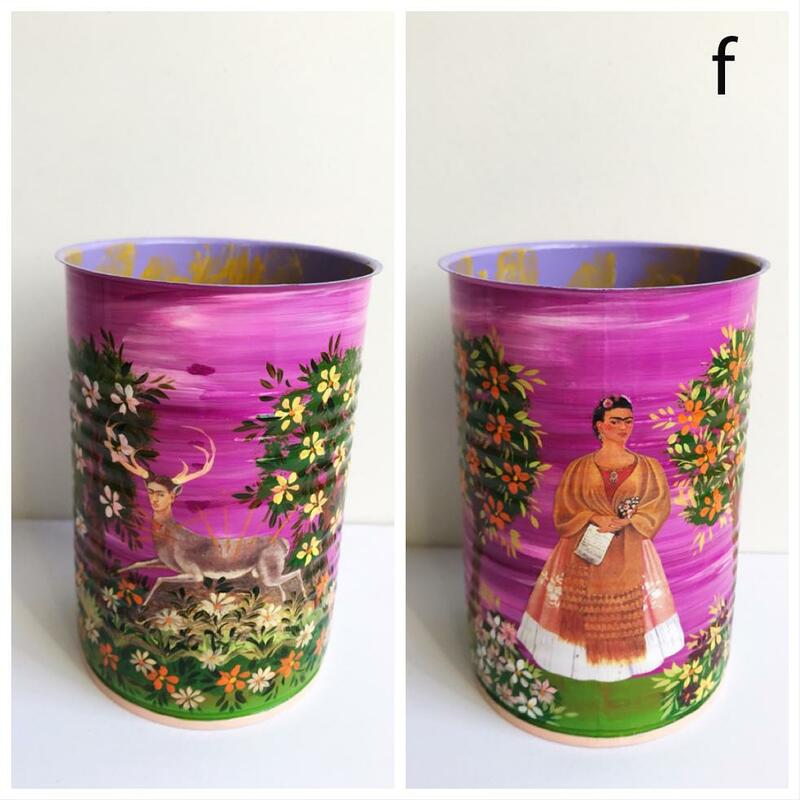 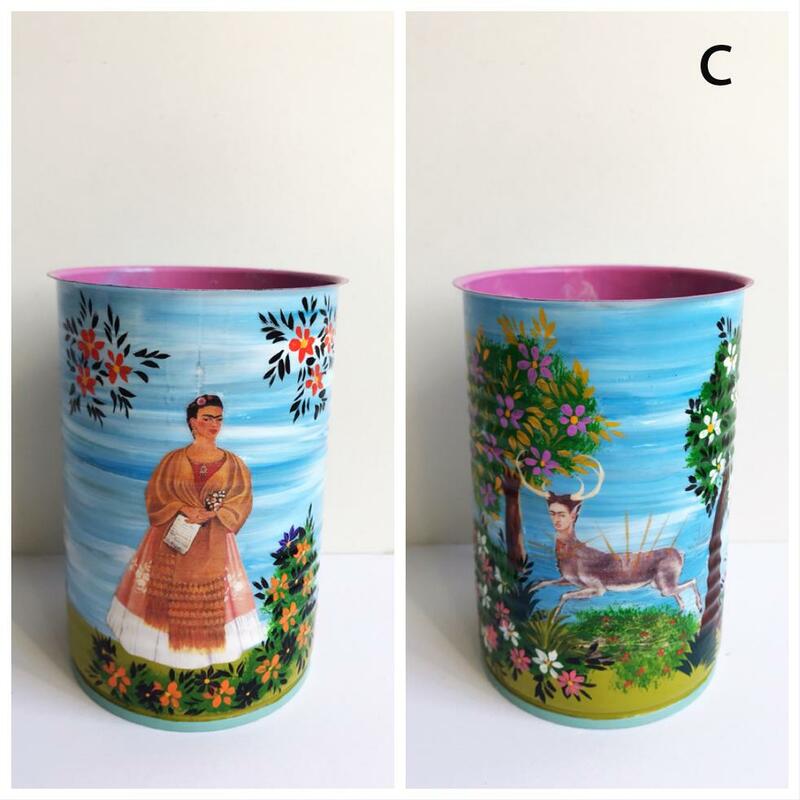 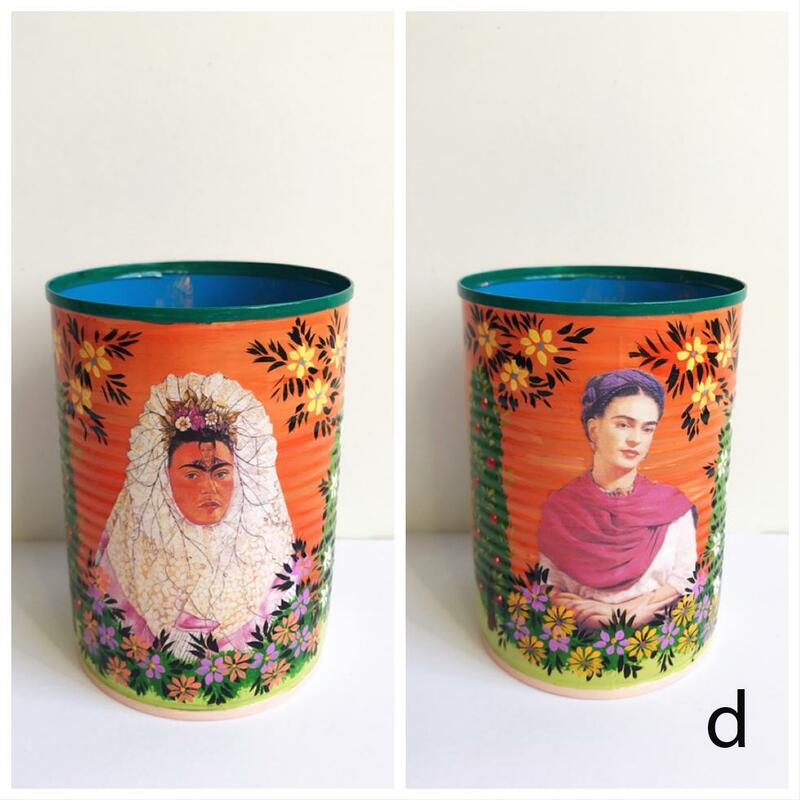 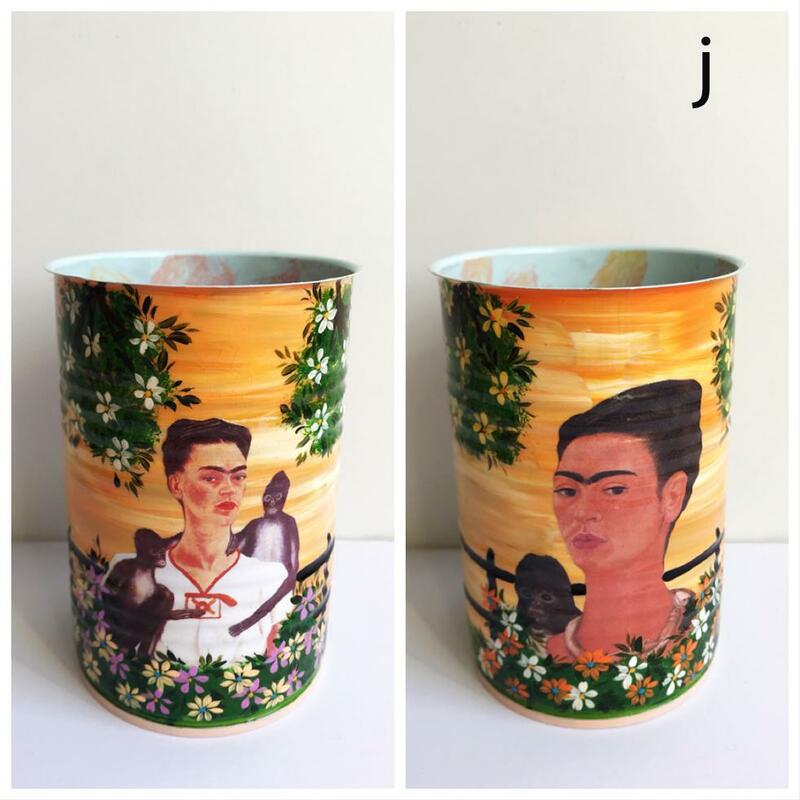 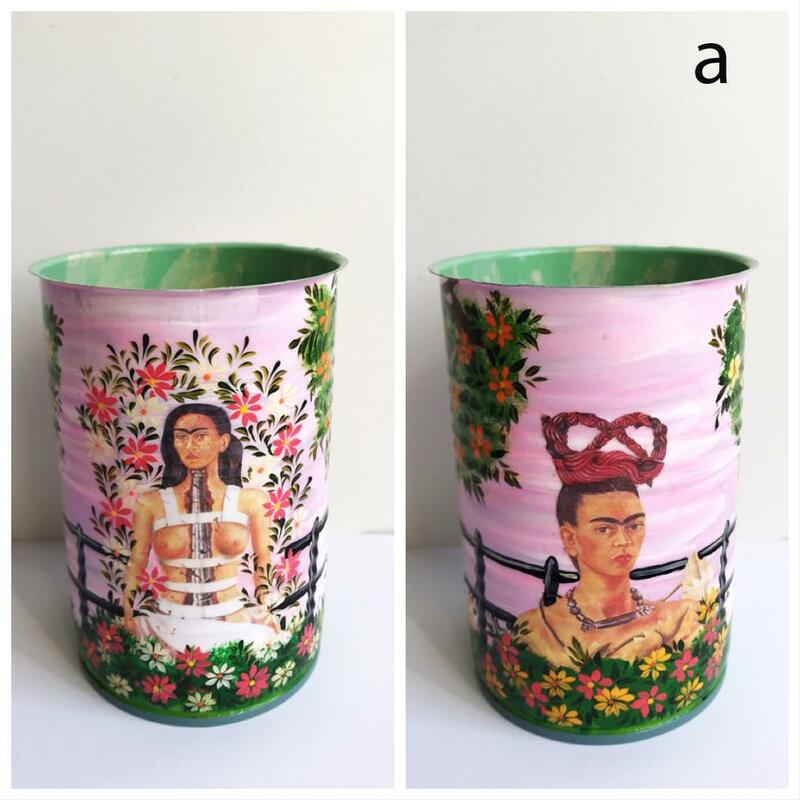 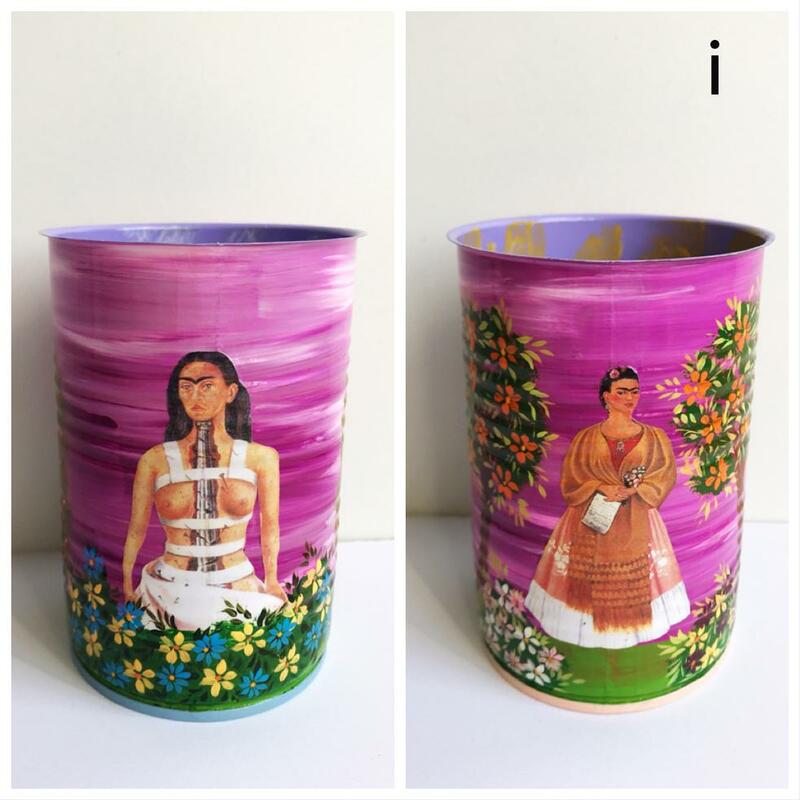 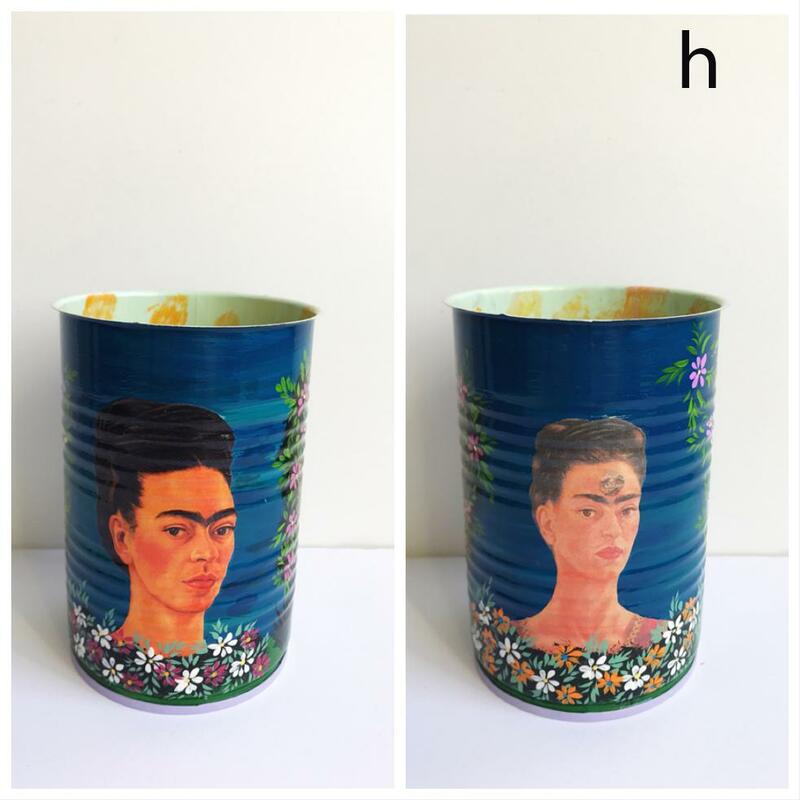 These lovely tin cans have iconic images of Frida Kahlo decoupaged onto beautifully hand painted backgrounds. 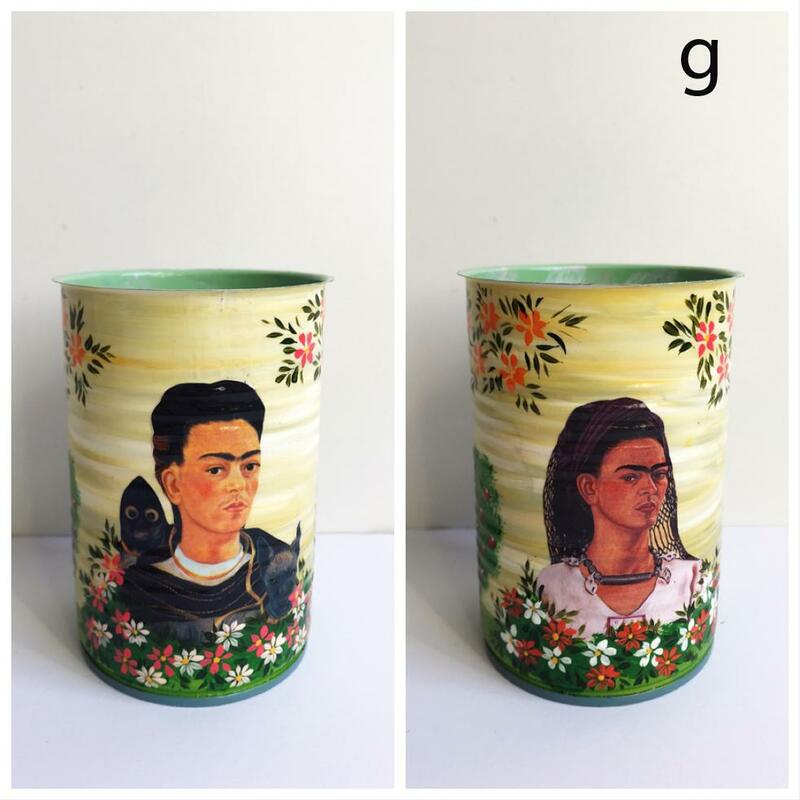 They make great pen/brush holders or you could even pot up a little cactus. 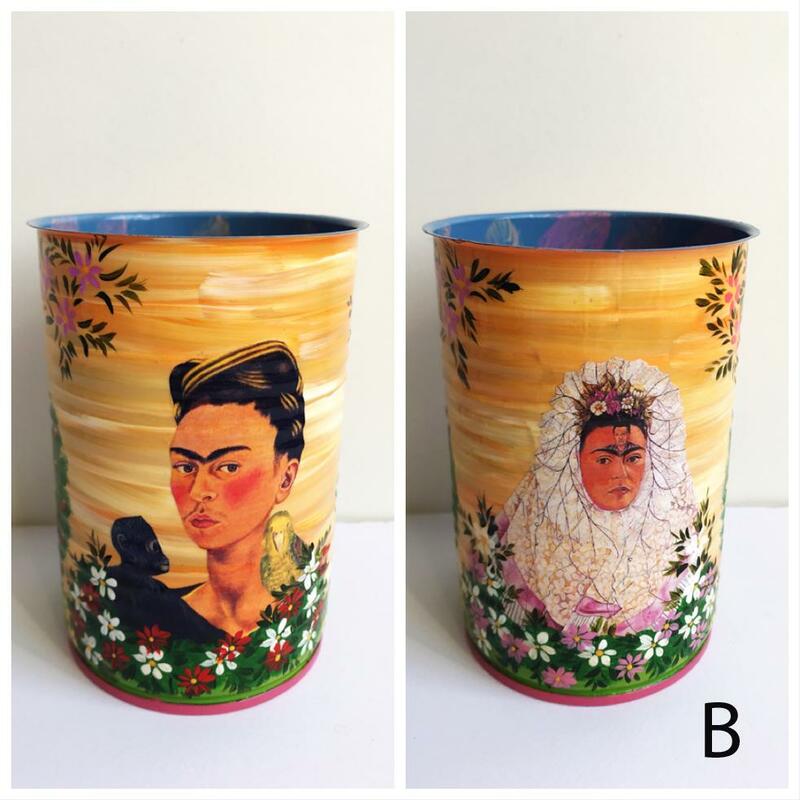 Each one is a mini work of art - no two are the same!